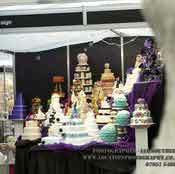 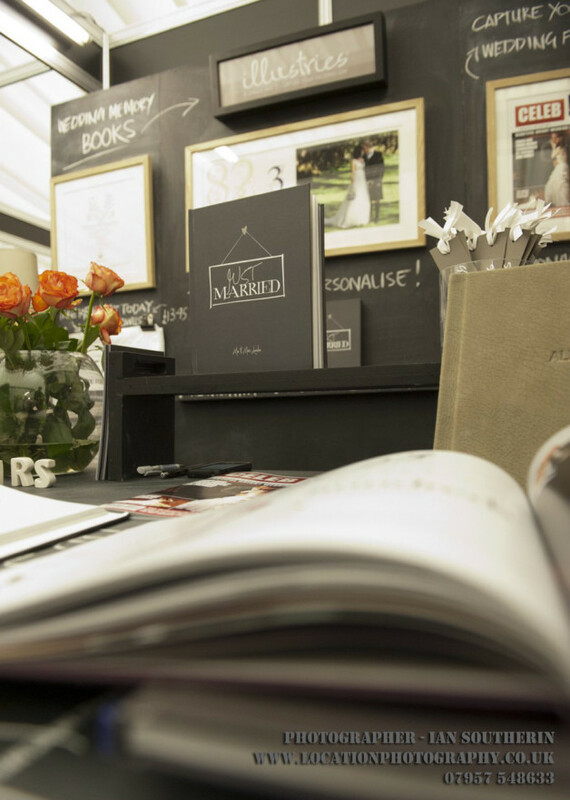 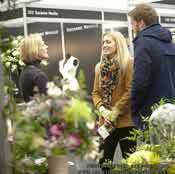 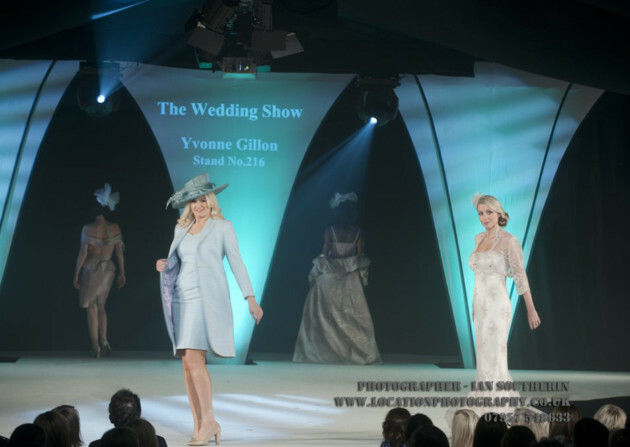 Tatton Park played host to the North West’s most prestigious bridal show again this weekend and visitors were not disappointed. 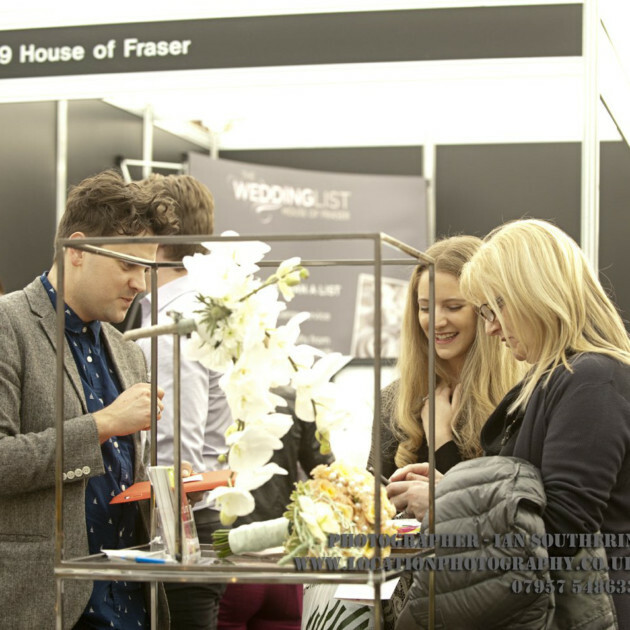 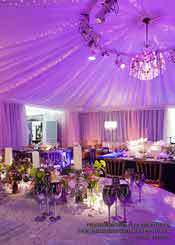 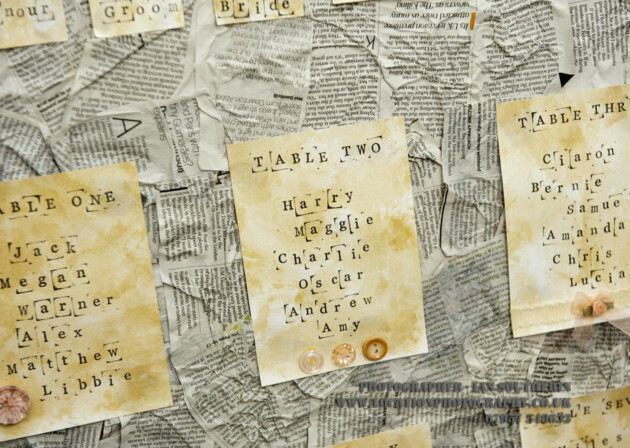 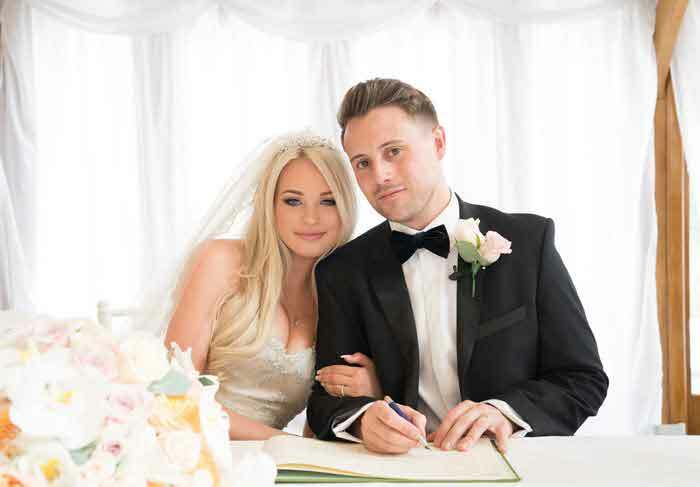 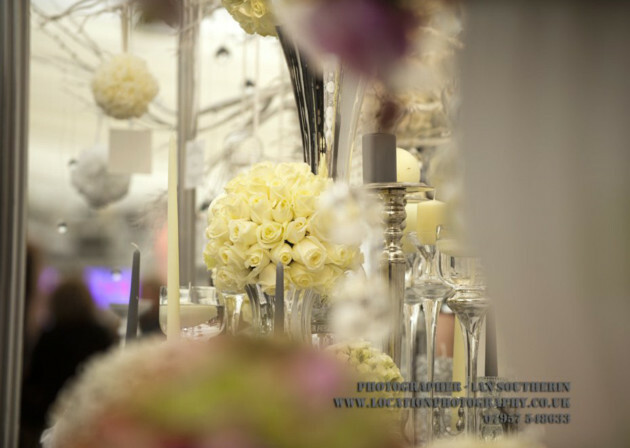 Thousands of brides and grooms-to-be came through the doors of the grand marquee, some only recently engaged and others, engaged for longer, about to start planning their dream day in earnest. 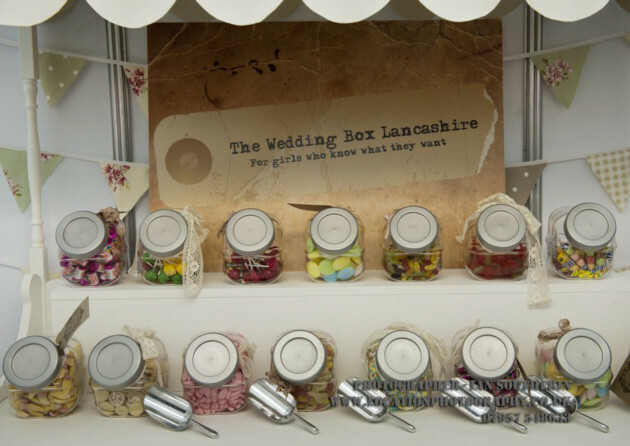 All of them agreed the show had lived up to its reputation as the biggest and best in the North West. 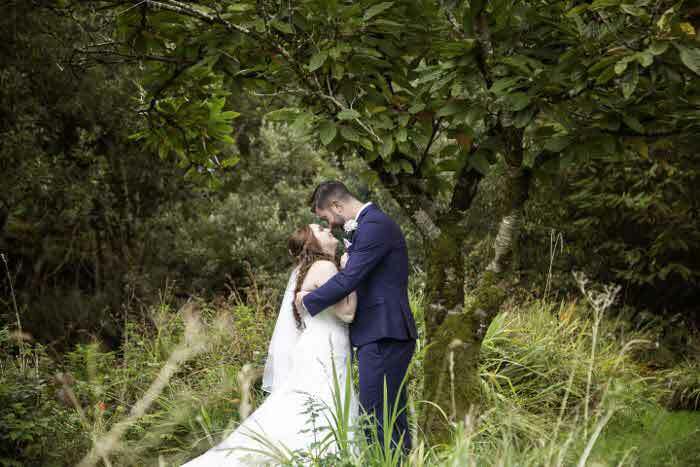 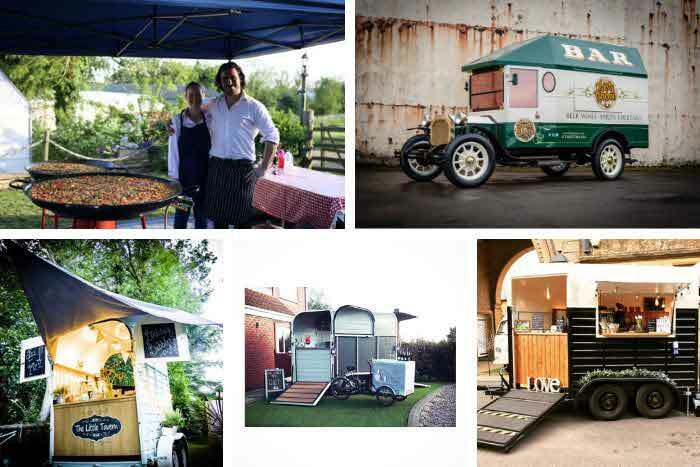 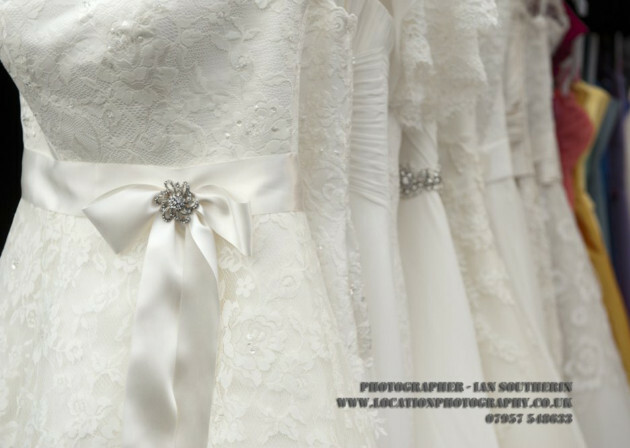 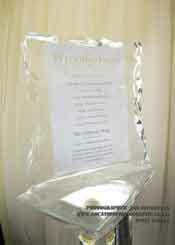 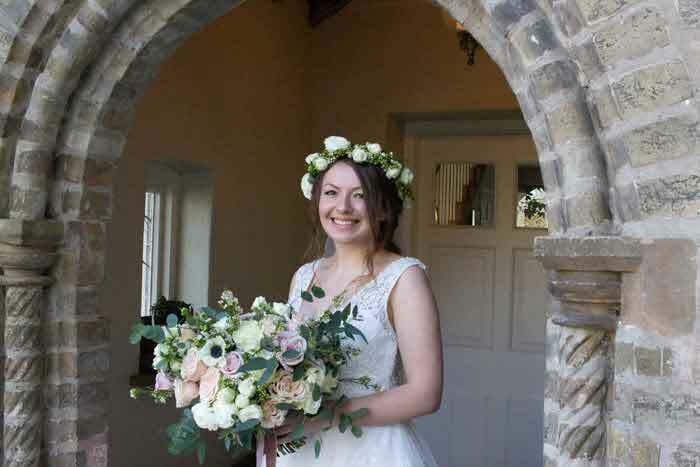 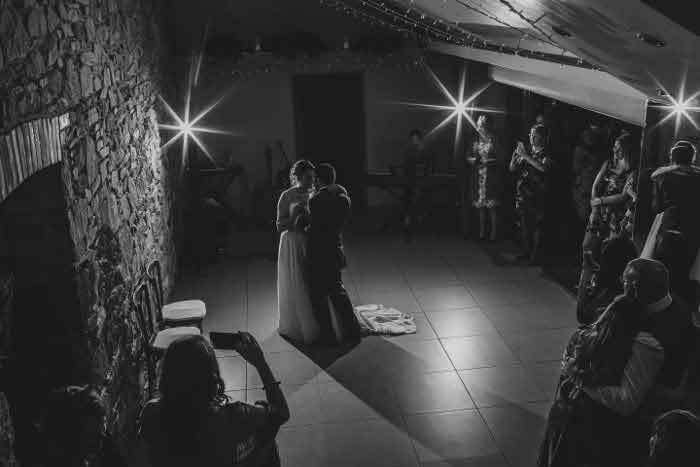 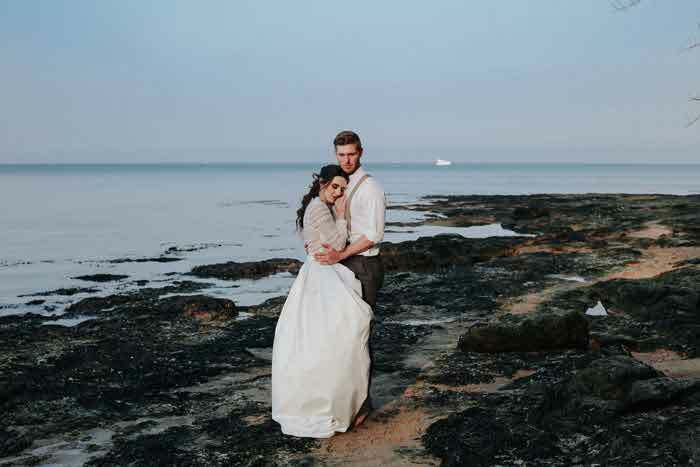 With more than 150 suppliers, with everything you need to plan your wedding from start to finish, some brides had found their perfect venue, another had tried on her first beautiful gown. 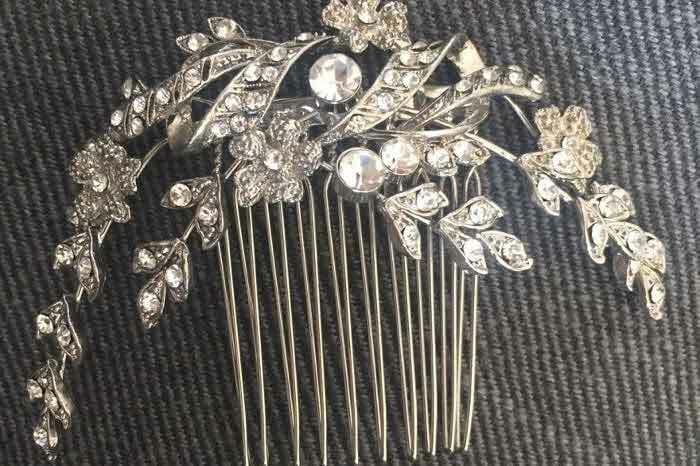 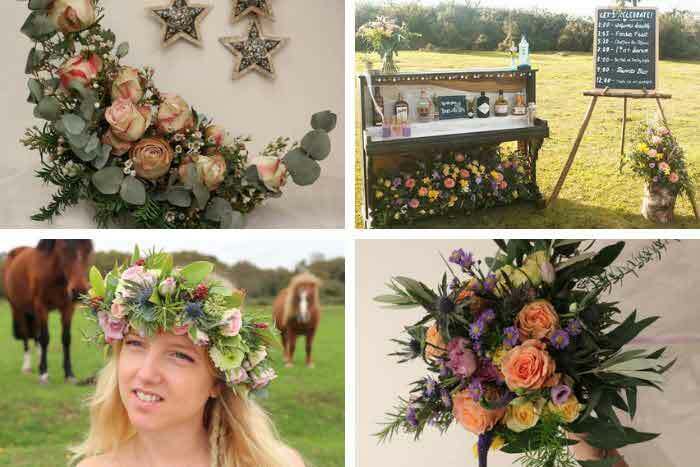 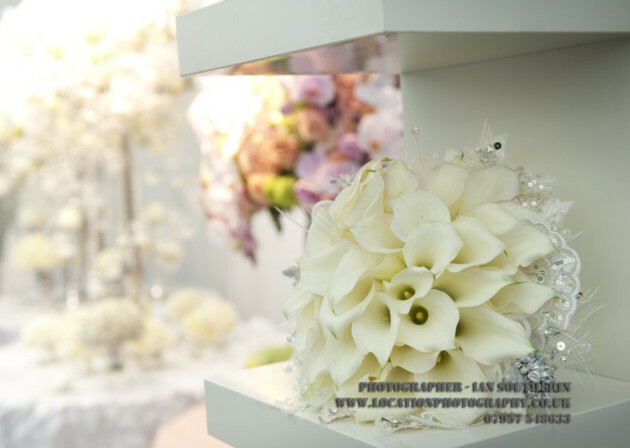 Others had managed to find the perfect accessories, from jewellery to stunning headpieces and lots had been wowed by the floral displays. 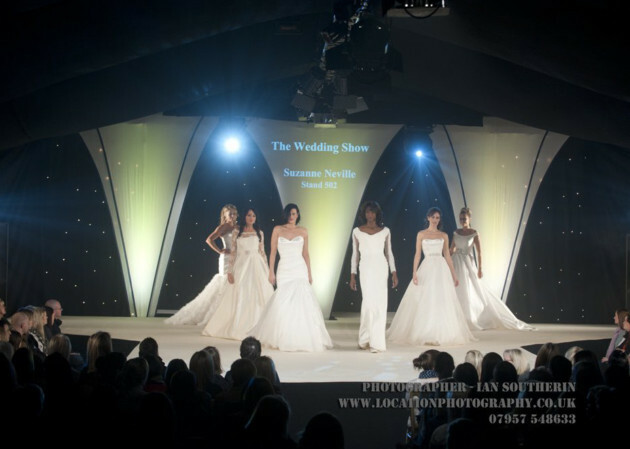 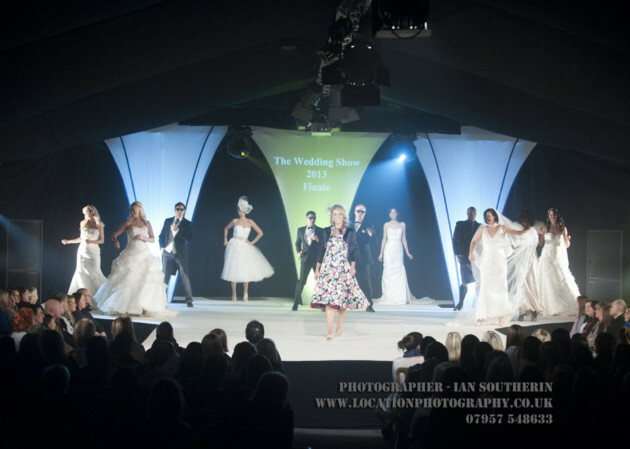 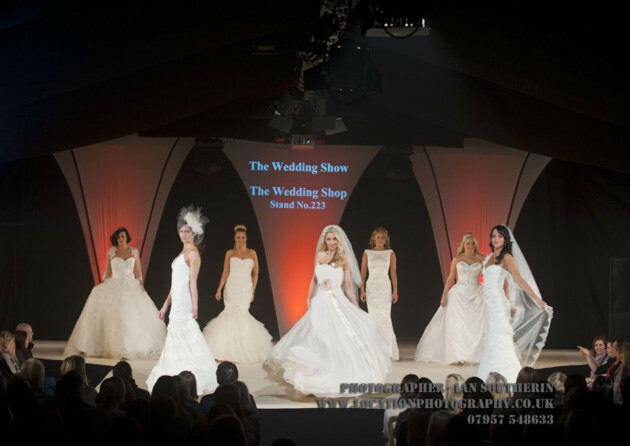 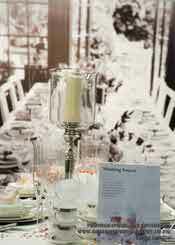 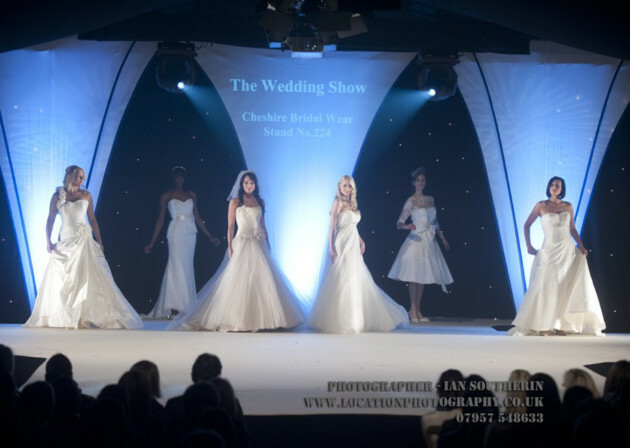 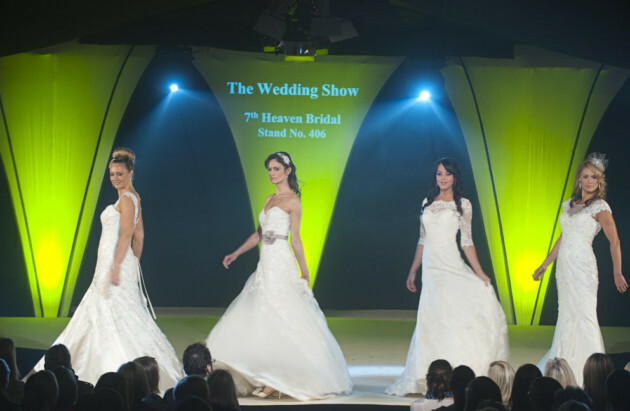 The highlight for the majority was our fabulous and fun catwalk show, showcasing beautiful bridal fashions. 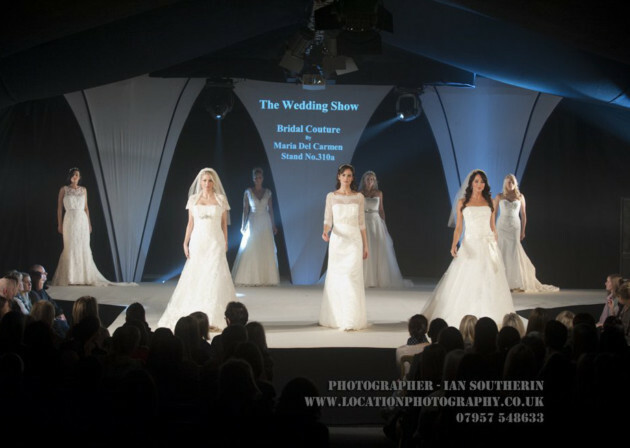 The gowns were simply stunning and, watching the faces in the crowd, I could see one or two ladies falling in love all over again! 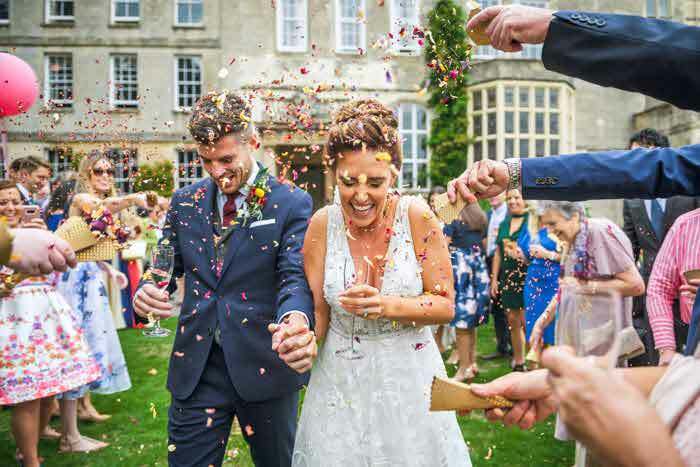 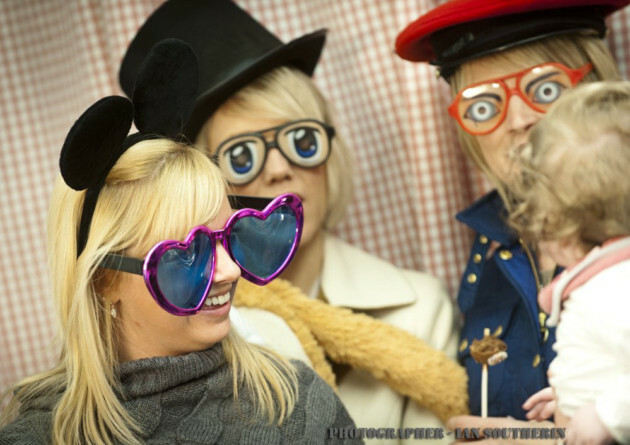 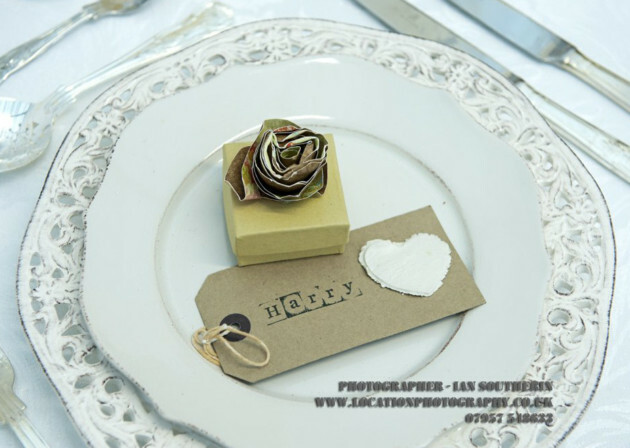 Our mischievous ‘grooms’, entertained the crowd to rapturous applause with their funky dance moves, cheeky winks and pure bribery handing out chocolate lollipops by Slattery’s Cakes. 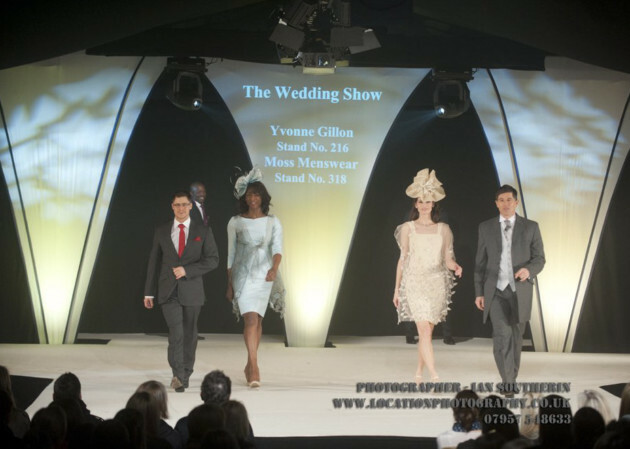 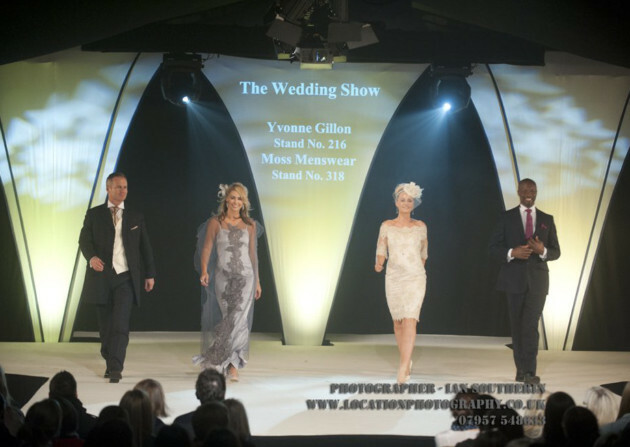 The mother-of-the-bride was not forgotten either, with some simply stunning ideas from couture designer Yvonne Gillon and our show sponsors, John Lewis. 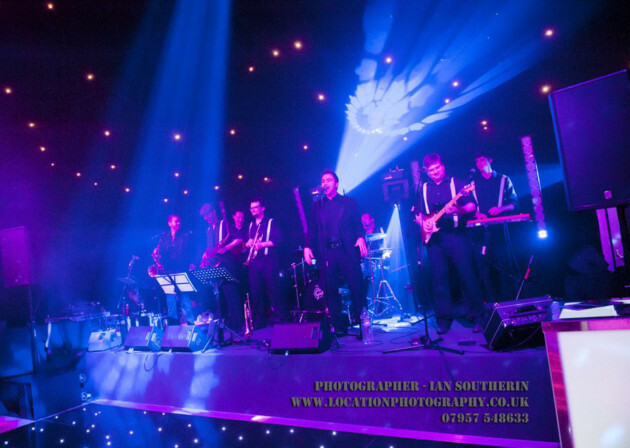 Next door to our catwalk was the band performance stage, where a number of entertainers including The Funky Doctors, Estelle Lily Band and the Manchester Sing Out Choir all performed for our visitors in a nightclub-like decorated marquee, the perfect décor for an evening reception. 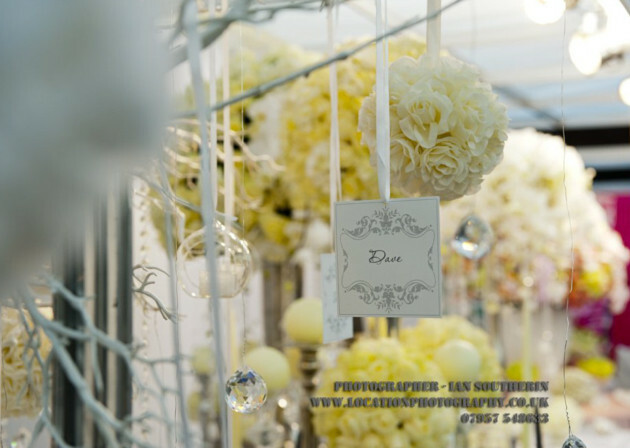 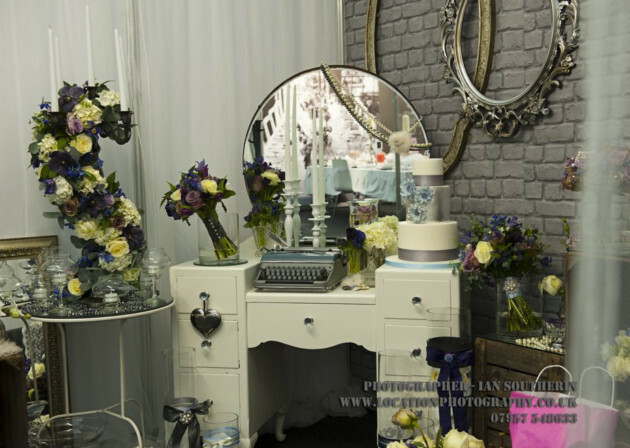 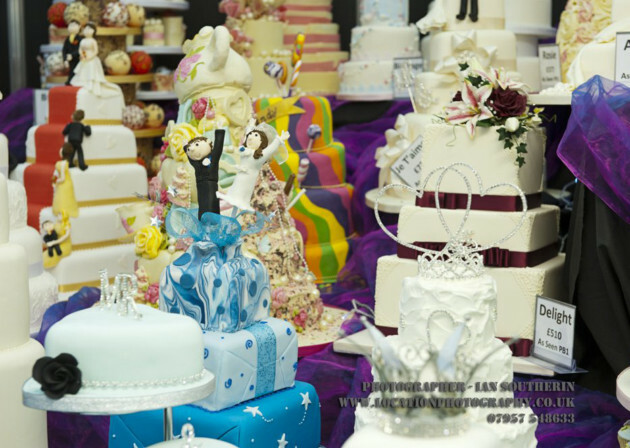 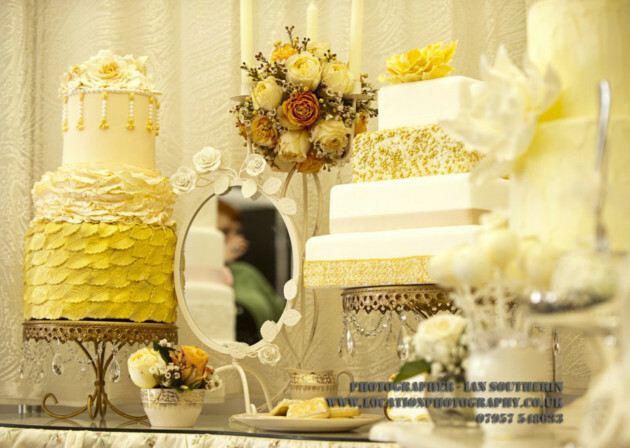 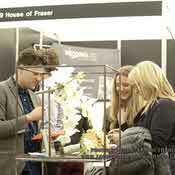 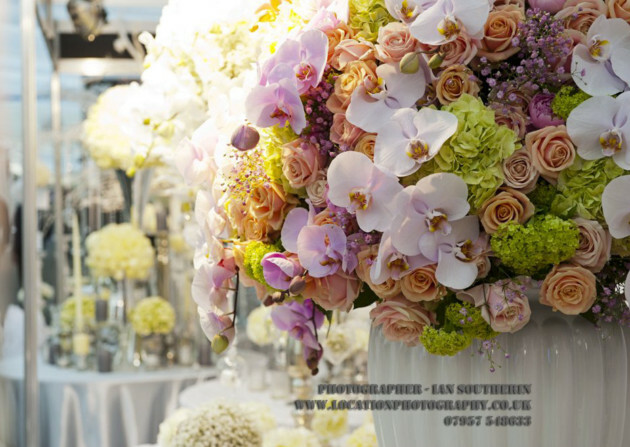 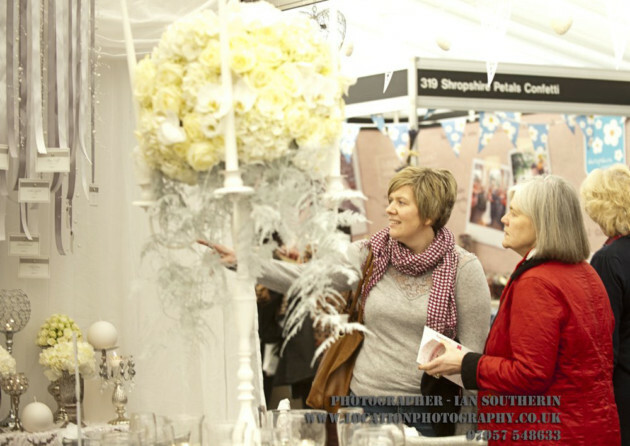 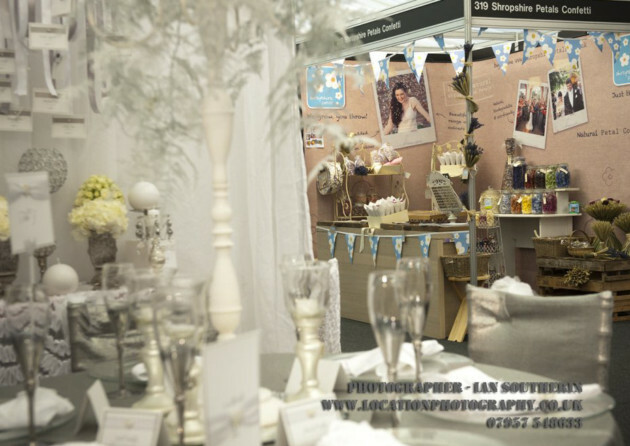 All exhibitors had put on a great display, but the award for the best decorated had to go to Mat Hepplestone for the Red Floral Architecture stand and the runner-up, The Wedding Shop. 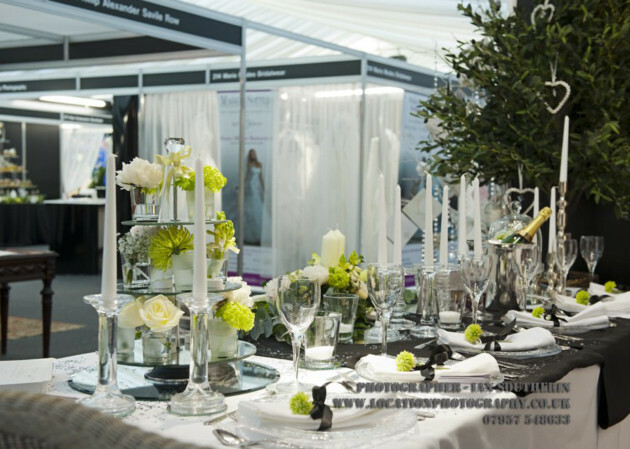 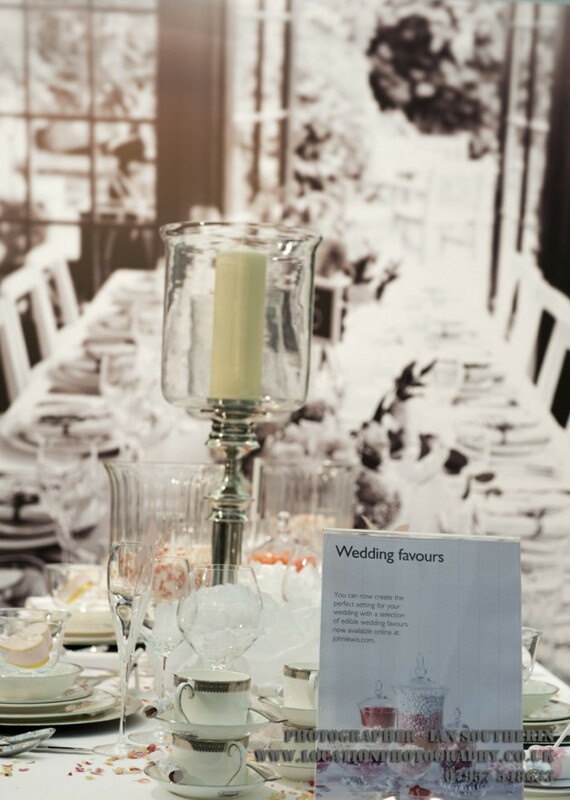 Now, as the marquee has come down and the planning begins for next year’s Wedding Show, we at WeddingLink would like to thank everyone who came to visit The Wedding Show, brides and exhibitors alike and we look forward to welcoming you back again next year! 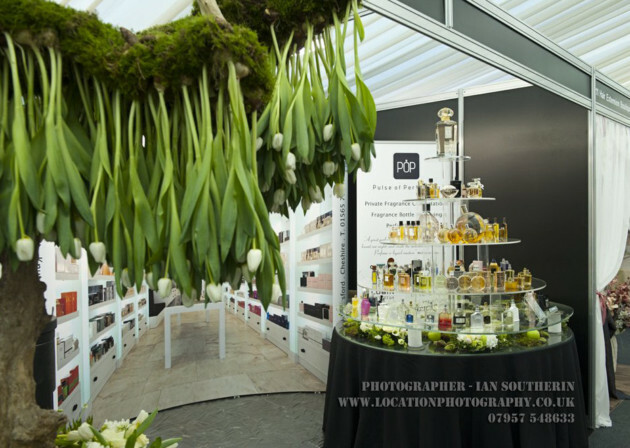 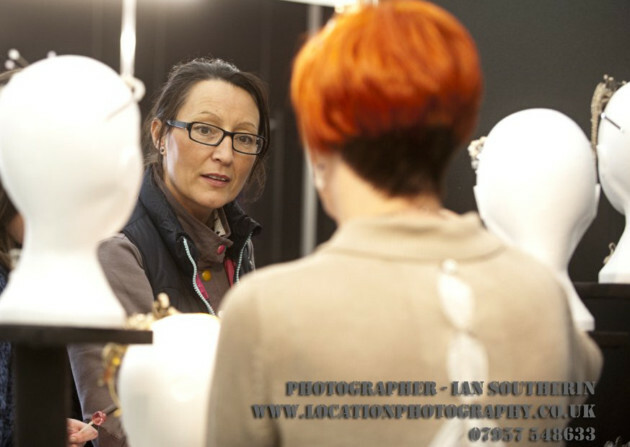 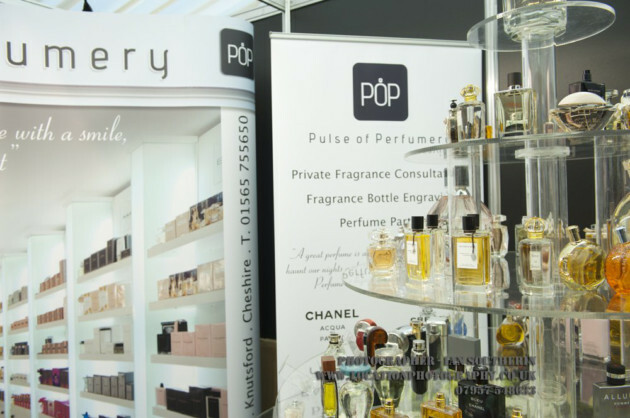 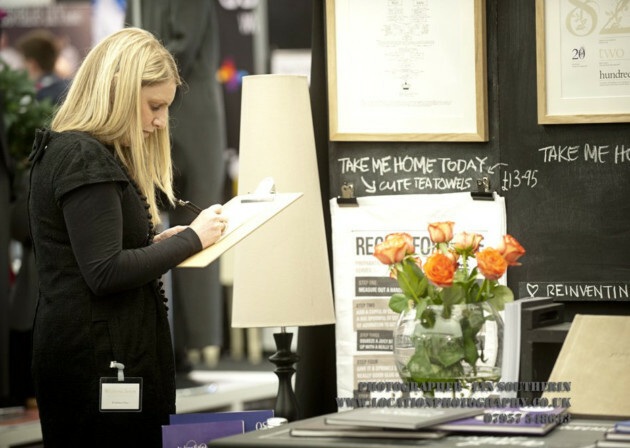 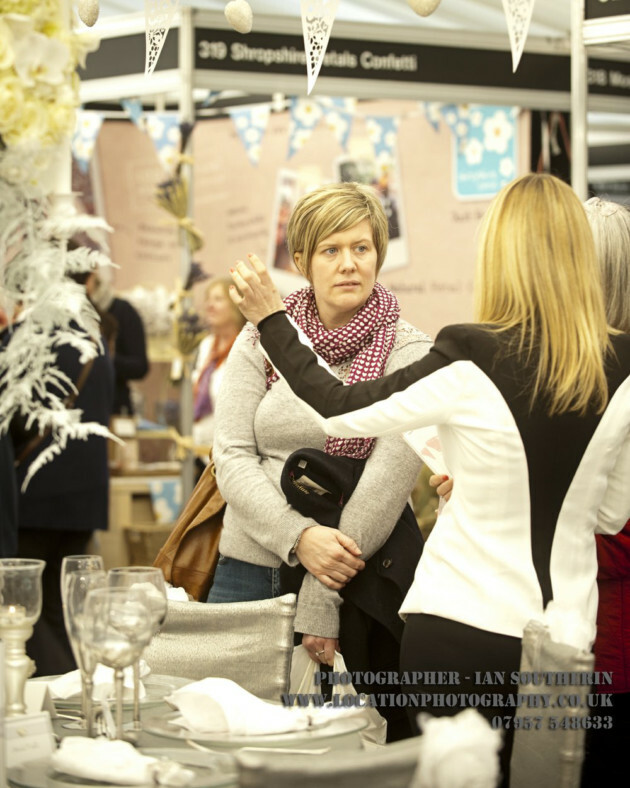 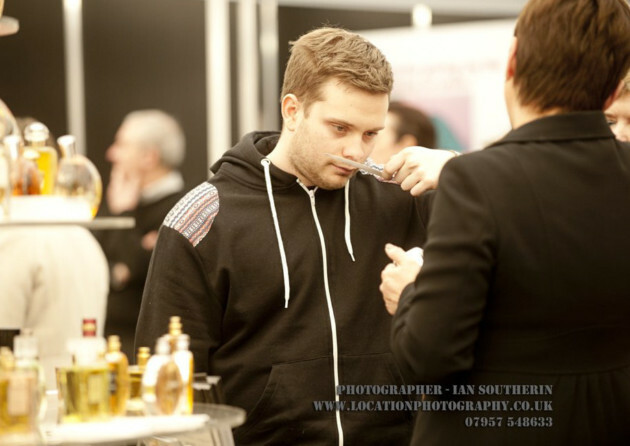 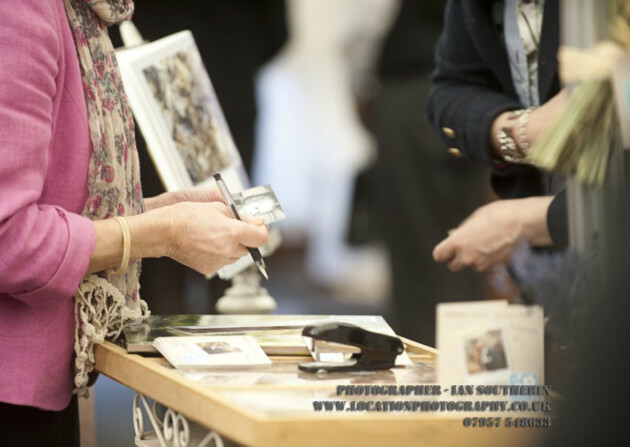 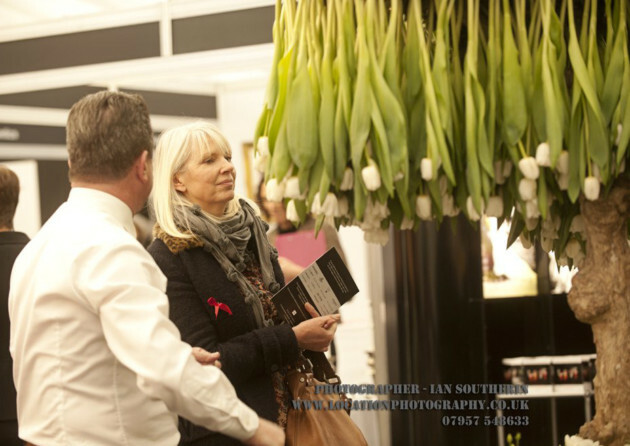 In the meantime, enjoy our pictures from the 2013 show – if you missed it this year, then make it a date in your diary for next, 1st-2nd February 2014.